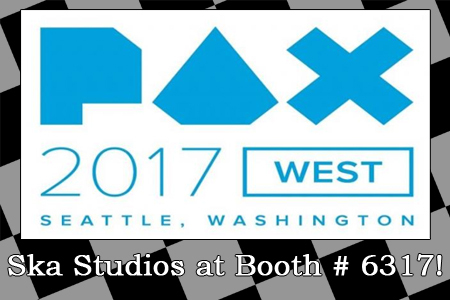 Ska at PAX West 2017 and Some Other Stuff! It’s been a while, so prepare yourself for a flurry of information! We’ll be at PAX! This year we’ll be on Floor 6, booth #6317. Floor 6 is decidedly less crowded and decidedly more indie than the main sprawl, so that means more Ska Studios, fewer airborne superbugs. We’ll have the vat of hand sanitizer, anyway. 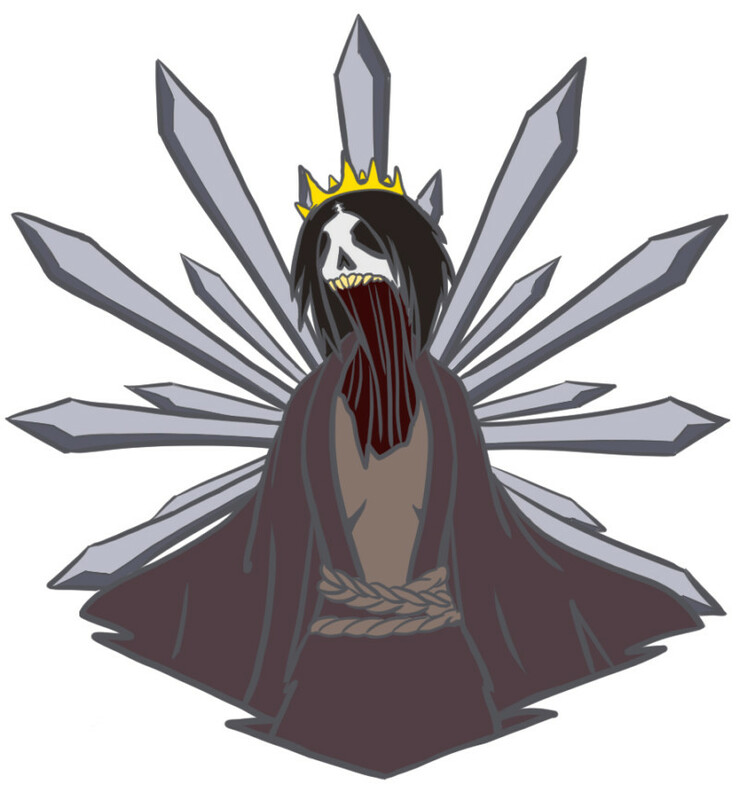 We’ll be running demos of Salt and Sanctuary, The Dishwasher: Vampire Smile, and Charlie Murder, and we’ll have shirts, Dishy plushes, game keys, and… for the first year ever… Pinnies! Of course, we’ll also have us. Got a burning question about the Mad Alchemist? Want to fight James over The Witch of the Lake? You’ll definitely be able to do one but not both of those things! We’re in some panels again! James will be in a panel about what it’s like developing solo, back in the days when he did just that, and I’ll be talking about the intersection between crafting and game development. 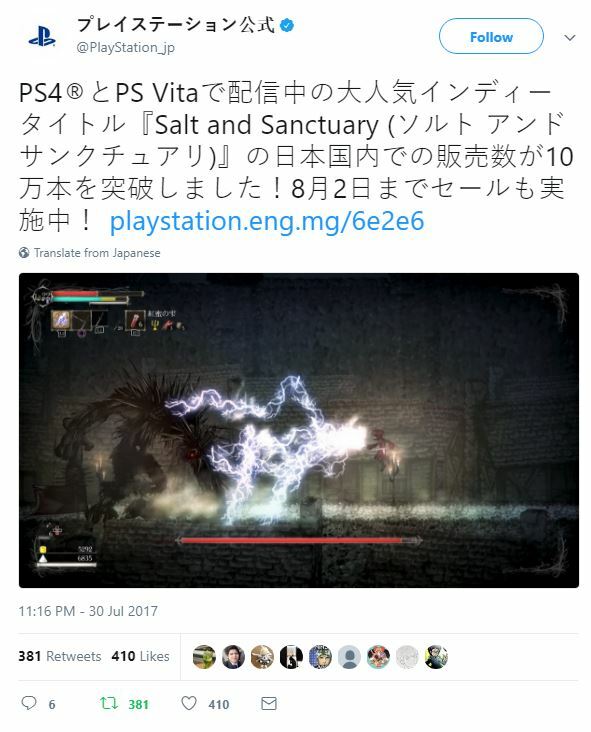 Late July, Playstation Japan invited us to share a momentous achievement, and we gladly obliged: Salt and Sanctuary has been downloaded more than 100,000 times in Japan on PlayStation 4 and PSVita. We are super honored and humbled to have been so well received in the birthplace of modern videogames! どうもありがとうございます! 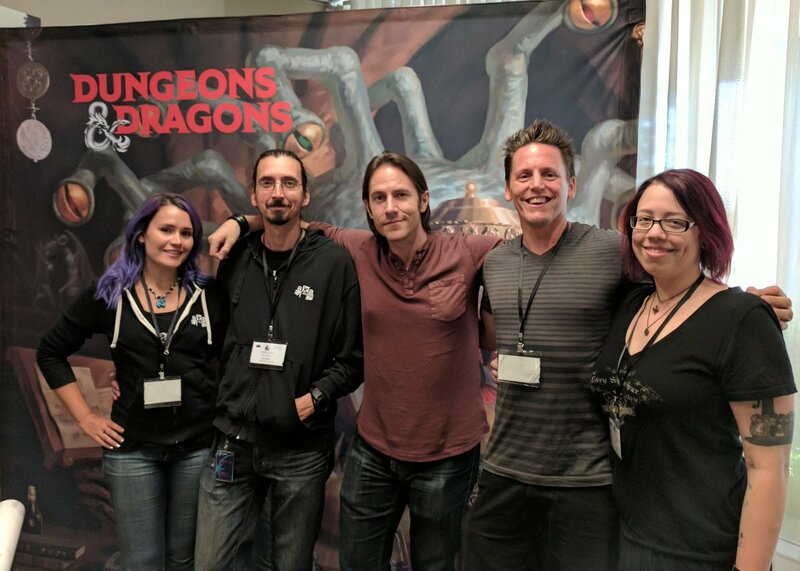 I may have already shared this on our social medias, but last week we had the opportunity to take a tour of The Wizards of the Coast office and play Dungeons & Dragons with none other than Matthew Mercer! This amazing event came from Child’s Play, a fantastic charity that we love to support. As it happens, last year during the annual Child’s Play Charity Auction Dinner, we managed to snag the winning bid on some Matt Mercer D&D. And it… was… basically every birthday and holiday rolled into one. It was an amazing experience, and awesome to know that the proceeds went to a far great cause. 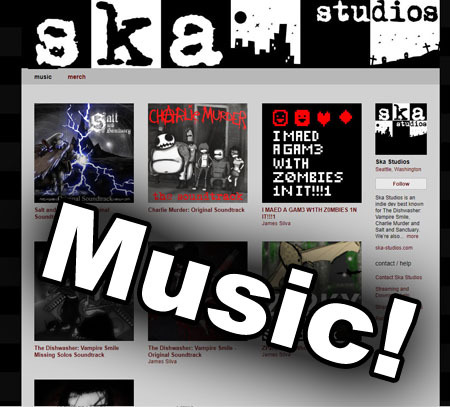 As always, you can get news from us via our Newsletter sign up here, buy cool merch stuff from us here and get our soundtracks here! And with that, here’s a dose of Gato for you. 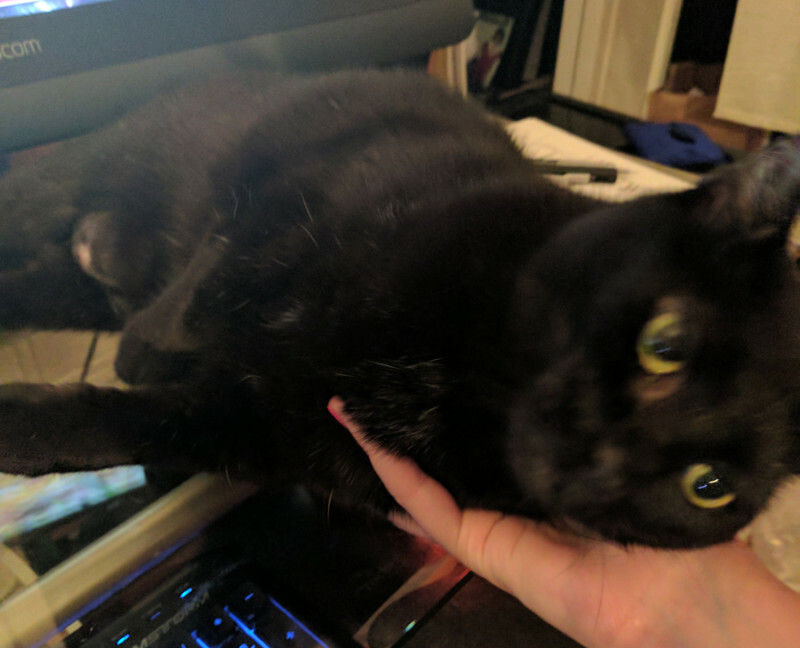 She really wanted to lay half on, half off my desk so I propped her up with my hand.